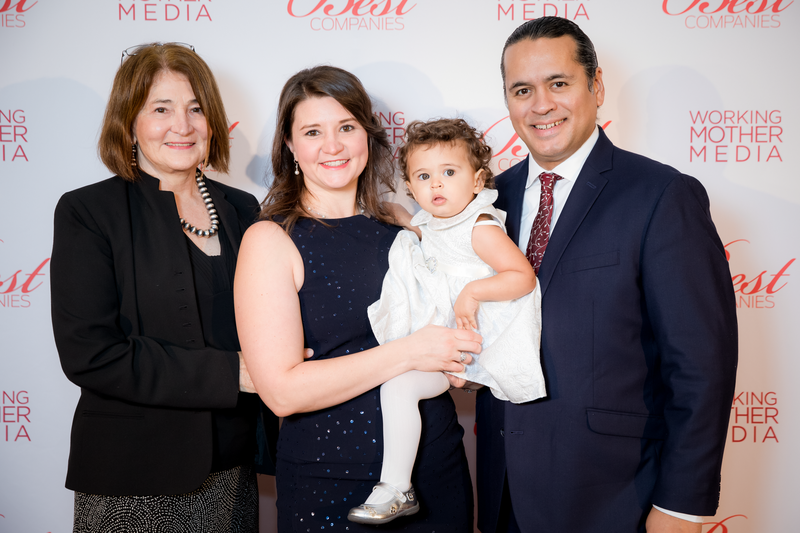 We are excited to celebrate NYJL volunteer Beth Batiuchok-Colon, who was recently honored by Working Mother Magazine. Beth is noted for being a “great mentor to other women, and her co-workers often describe her as personable, professional, patient and kind.” She shows leadership in the workplace, working at FINRA in the Market Regulation Department for six years, starting as a business analyst, and now as an Assistant Director in Market Manipulation Investigations/Trading Analysis where she served as co-chair of the FINRA Women’s Network Employee Resource Group (ERG). At the NYJL, Beth co-chairs the Building Blocks committee, working with The Single Parent Resource Center to provide free “Mommy and Me” classes to single mothers and their children. It is such an honor to be recognized as FINRA’s working mother of year. I am delighted to work for a company where I can bring my whole self to work: that includes being a career-minded woman, a wife and mother, a volunteer, and a mentor. I am grateful for my involvement with the NYJL, as the organization gave me the training and skills to excel as both a volunteer and a professional woman. Beth truly exemplifies NYJL values in her personal life, work environment, and in the community. Congratulations from all of us at the NYJL!